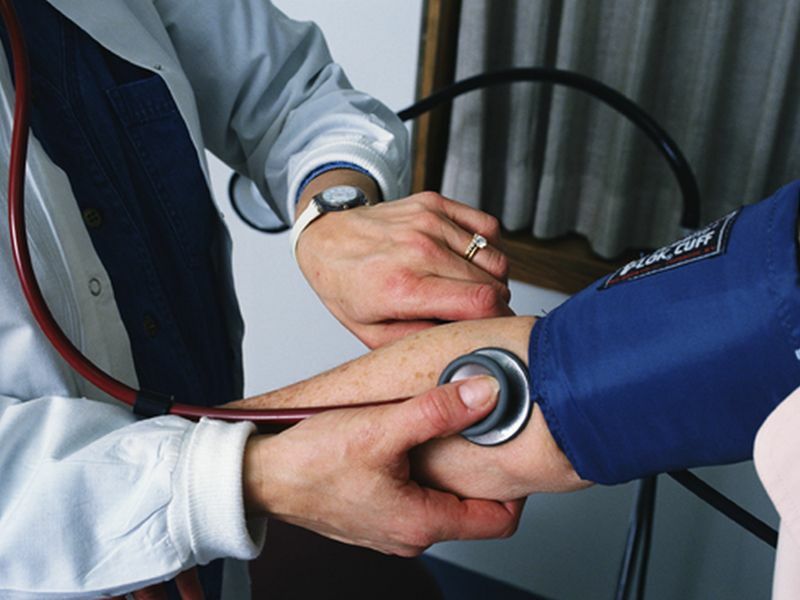 MONDAY, Nov. 14, 2016 (HealthDay News) -- In some people with high blood pressure, too-steep drops in blood pressure after drug therapy may actually raise their risk of premature death, preliminary findings suggest. Researchers led by Dr. Peter Okin, of Weill Cornell Medicine in New York City, tracked data on nearly 8,000 non-diabetic adults who had high blood pressure. The researchers first looked at patients who had systolic blood pressure (the upper number in a reading) of 164 mm Hg or higher before treatment. Patients who reduced that number to less than 142 mm Hg during treatment were 32 percent more likely to die during the study period than those who lowered it to 152 mm Hg or more during treatment, the findings showed. But the scenario was different if systolic blood pressure was below 164 mm Hg before treatment, according to the report. In these cases, when drug treatment lowered systolic blood pressure to less than 142 mm Hg, patients had a 40 percent lower risk of dying during the study compared with those who reduced blood pressure to 152 mm Hg or higher, the study found. Okin's team believes that further research is needed to understand these findings, which were scheduled for presentation Monday at the American Heart Association's annual meeting, in New Orleans. Two heart experts said it's too soon to read too much into this study, however, and patients should still take their medications as directed. "This finding should not override the need for ongoing blood pressure management in patients with cardiovascular risk," said Dr. David Friedman. He's chief of congestive heart failure services at North Shore-LIJ's Franklin Hospital in Valley Stream, N.Y.
Dr. Satjit Bhusri is a cardiologist at Lenox Hill Hospital in New York City. He stressed that "by lowering the blood pressure, we can decrease the risk of heart attacks." Bhusri added that "the goal still remains that a normal blood pressure is ideal to prevent heart disease." However, the new findings suggest that any drop in blood pressure "should not be rapid, but gradual, so that we do not do more harm than good."